I've been lucky enough to have never had anything of mine stolen. 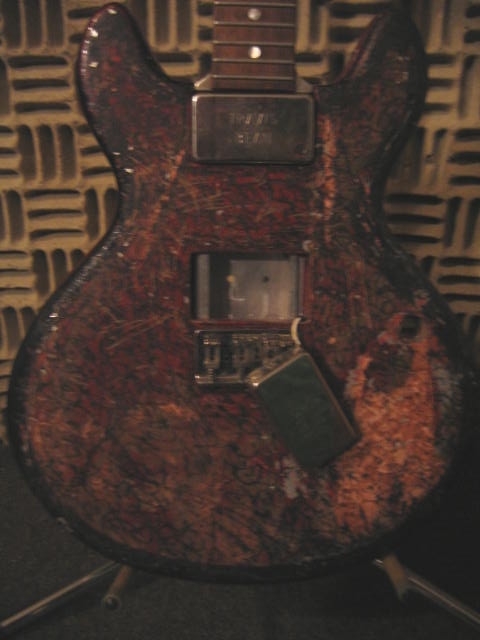 But if this were me, I'd be pretty upset that someone apparently left my priceless instrument out in the rain or set it on fire or whatever the hell you do to a guitar to make it look like that. But I'd also be glad to have it back. 1 For those not in the know, Travis Bean built guitars in the 1970s in which he pioneered the use of aluminum necks. They are highly sought-after, very valuable, and relatively rare. I've seen them sell on eBay for $6,000 or more. 2 In 1999, ALL of Sonic Youth's gear got stolen2A. Read about it here. 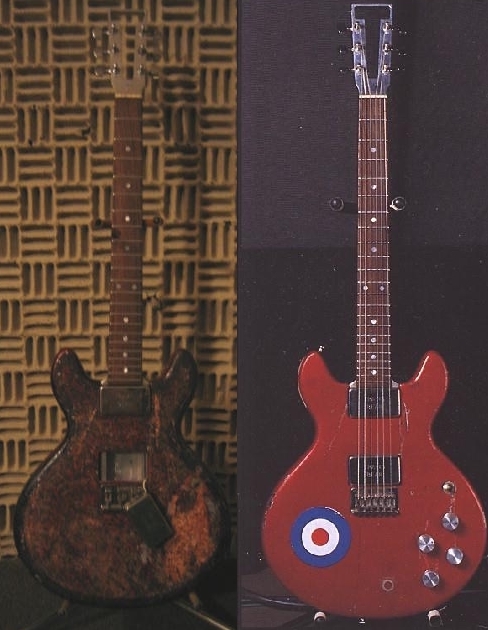 It was nearly all one-of-a-kind stuff; they have recovered a total of three guitars. Read the entire list of stolen stuff here. 2A It's not unheard for bands' stuff to get stolen. 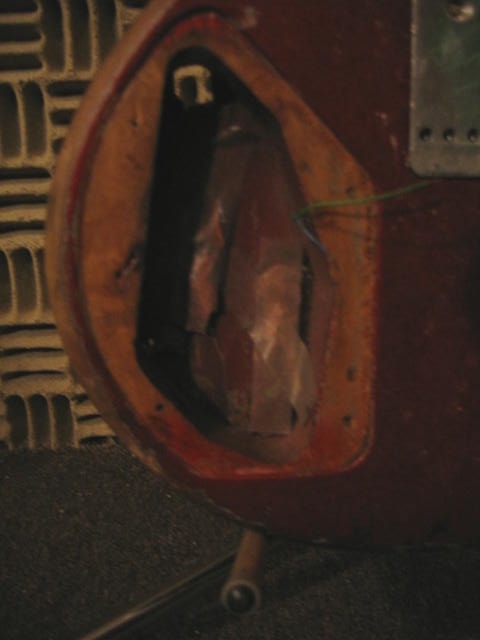 Just last fall, Chicago's Del Rey had their equipment stolen from a practice space. Back in my college days, I saw Local H play in St. Louis with Alabama Boys' Choir opening. ABC had their tour van stolen, including much of the gear inside it, from behind the venue. They played that night with some of Local H's gear, then were forced to skip several days of the tour to return home and obtain new gear/van. You can compare this anecdote to the previous assonance regarding Miles Kurosky not stopping in St. Louis on his tour. Draw your own conclusions. Thieves make me want to go all Angry Zeus and smite someone.